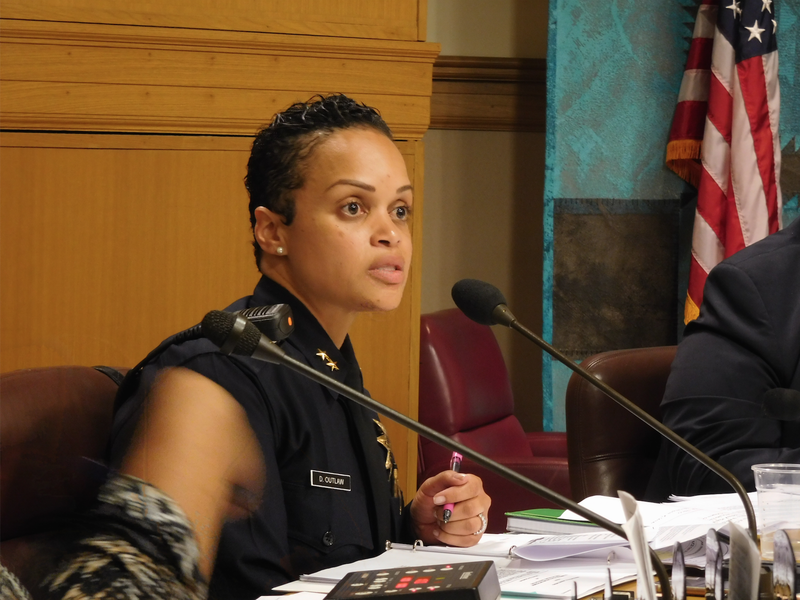 The Oakland City Council's Public Safety Committee voted unanimously today to revoke authorization for the city's police department to participate in task forces led by the federal Immigration and Customs Enforcement agency. The committee also voted to impose greater oversight of similar task force agreements the OPD has with the FBI, U.S. Marshals, and other federal law enforcement agencies. "This law is critically needed," said Christina Sinha, an attorney with Asian Americans Advancing Justice. Christina Sinha of Asian Americans Advancing Justice said local cops might violate city policies when working alongside federal agents. "Given the public statements of the president and ICE officials, it's their intention to continue targeting non-criminals," Councilmember Rebecca Kaplan told the committee members about the motion to cut ties with ICE. She said enforcement of civil immigration law by ICE, and OPD's cooperation with ICE on other investigations, undermines public trust in the local police and does more harm than good. Brian Hofer, the chair of Oakland's privacy advisory commission, told the committee that he asked for evidence from OPD demonstrating that task force participation with ICE has improved public safety, but the department didn't provide any specific cases. No one from the public commented in support of continuing to allow OPD to work with ICE. 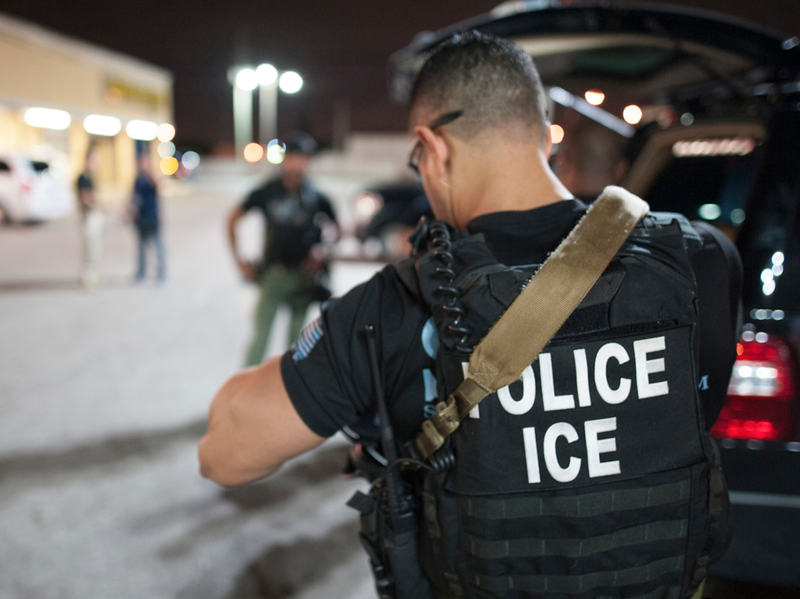 "Tangling local law enforcement with ICE is a threat to civil rights and safety of all people," said Tessa D'Arcangelew, a representative of the ACLU of Northern California, which supported the legislation. Deputy Chief Daniel Outlaw said the task forces with federal agencies are crucial to solving major crimes in Oakland. Even so, in a last ditch appeal to prevent the severing of ties with ICE, Oakland Deputy Chief Daniel Outlaw told the committee members and the public that federal agencies are an important "force multiplier" that helps investigate human trafficking, firearms trafficking, and drug smuggling cases with international scope. She said that there are in fact specific cases that ICE investigators have helped OPD solve. "In 2015 an Oakland gang member was arrested after search warrants were served and this resulted in the seizure of an AK-47 assault rifle, four semi-automatic pistols with high-capacity magazines, and a very, very large quantity of controlled substances and over $29,000 in cash," she said. But the committee members were unswayed. Desley Brooks and Abel Guillen both voted in favor of revoking authorization for OPD to work with ICE. Only Councilmember Noel Gallo expressed some reservations that it could impair OPD's ability to investigate felonies. But Gallo still voted in favor of revoking the cooperation agreement with ICE. The committee chose to take a softer route with respect to similar task force agreements between OPD and the FBI and other non-immigration law enforcement agencies. They voted to require that all agreements between OPD and federal agencies be reviewed by the privacy commission before they are signed. Final approval would still rest with the full city council. Of particular concern for many is an agreement between the OPD, FBI, and other local and federal agencies to form the Joint Terrorism Task Force. 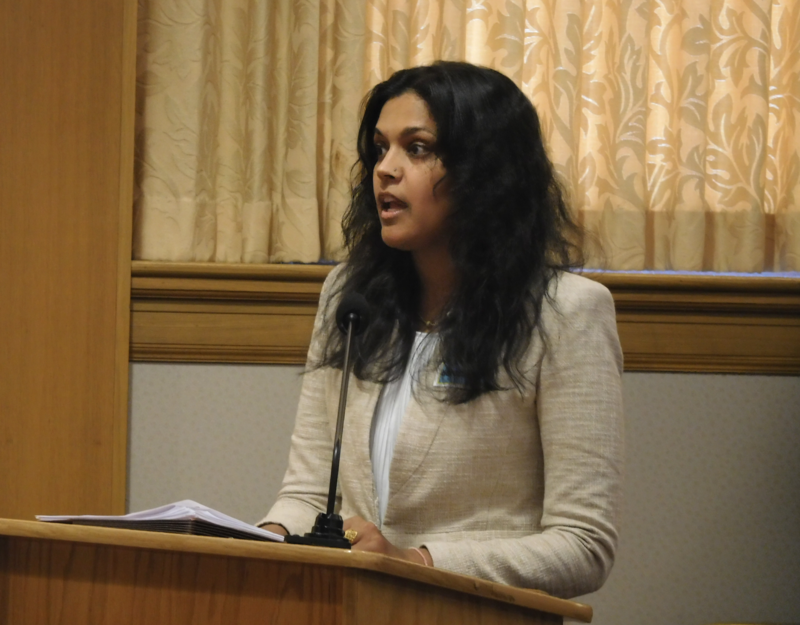 "The JTTF has invasive policies," said Sameena Usman, the government relations coordinator for the Council on American Islamic Relations Bay Area chapter. Usman said that under OPD's current agreement with the FBI, Oakland cops could be violating the city's policies with respect to immigration, racial profiling, and other matters, because federal rules are looser. She claimed that Oakland police commanders may be unaware of the activities some cops are involved in through the task forces. Outlaw said, however, that Oakland cops follow OPD policies, not federal guidelines. Both measures now must be approved by the full city council to take effect.